It’s not just men who feel the urge to tackle the Dakar, this year there are 11 females competing – 3 in the motorcycle class. And of all of them 32 year old Laia Sanz from Barcelona in Spain is the most successful. 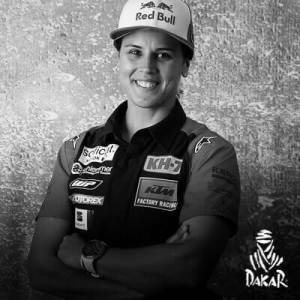 This is Laia’s 8th Dakar, having competed every year since her debut in 2011. Her best result overall came in 2013 when she finished 9th on a Honda CRF450X, and that result placed her in the record books as the only female to ever finish in the top 10. That’s a pretty outstanding record and one that many male competitors would aspire to. Laia started riding very early, when she was only 2 years old. A couple of years later she took her brother’s Cota 25, a motorcycle for children, while he rested and without telling anybody she began to ride her brother’s motorbike. In 1992, aged seven and encouraged by her mother, she participated in a race at the Catalan Junior Championship that was taking place in her village. Laia finished eighth (and last) but she wanted to come back for more, and the next year she joined the Championship from race one. That was her start into a male-dominated sport where, at the time, there were no female championships. It took until 1997 to claim her first race win – riding an 80 cc bike and still in a totally male championship. The following year she took part in the First Edition of the Women’s Trial European Championship, unofficial at the time, and won. She was only twelve years old! That win attracted attention from both fans and professional teams, and had her thinking of a professional career as a rider. In 2000 Sanz won the Spanish Cadet Championship, again she was the only female rider. Laia says that despite the many titles she has won since, this is the triumph that has given her the greatest satisfaction to date. 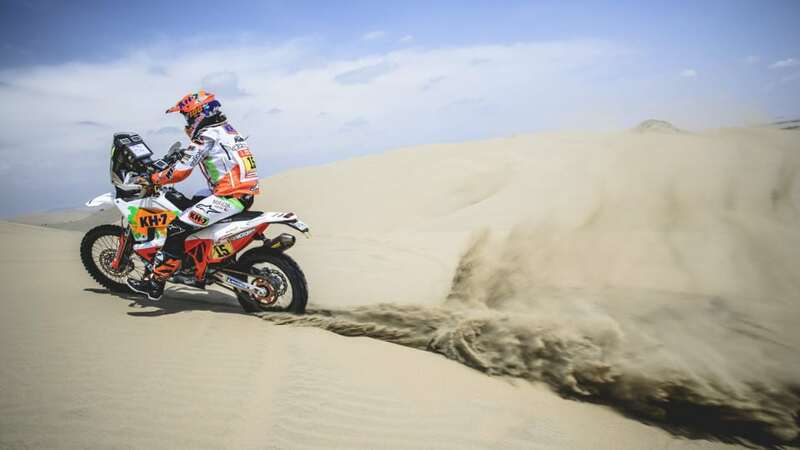 It was in 2010 that Sanz finally got the much awaited chance to train for the Dakar Rally – fulfilling a childhood dream. With the Dakar Legend Jordi Arcarons as a trainer, she prepared and entered the Dakar in 2011 on a Honda CRF450X. She won the female class, and finished in 39th position overall. For 2012, Laia joined the Gas Gas team and repeated her 39th place from the previous year. The following year, also with Gas Gas, saw her worst result in the event. A change to Honda in 2014 meant a change in fortune – a 16th place – and lead to her best result ever in 2015 when she finished 9th. 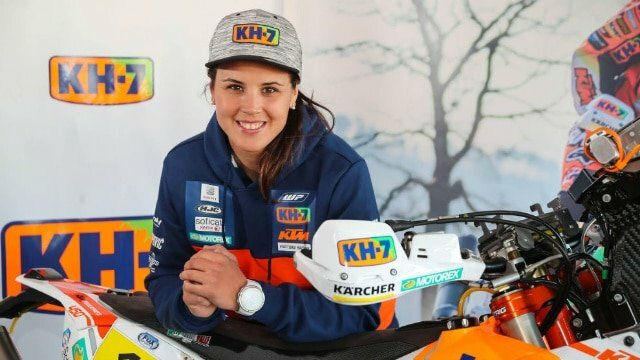 Laia now rides as part of the KTM factory team, and her goal for the 2018 Dakar is to finish in the top 15. Suzie decided that after profiling the three Aussie blokes – Toby Price, Rodney Faggotter and Scott Britnell – I had to write something about the 3 women competing in the motorcycle division as well, so with her help this is the first of the next 3 rider profiles. Next up tomorrow is 47 year old Spaniard Rosa Romero Font, and then the story of 28 year old Dakar rookie Gabriela Novotna. Stay tuned!